Each pack contains 2 lbs. Preparation Instructions: For best results thaw under refrigeration. Preheat oven to 350*F. Remove roast from packaging, rinse under cold water, and pat dry. 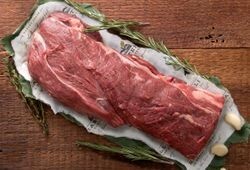 Season as desired; we recommend Kosher salt, fresh ground black pepper, olive oil and thyme (Optional rub with fresh chopped garlic). Place roast on a rack in a shallow roasting pan. Add 1 cup of water or your favorite wine and leave uncovered. Roast approximately 25 minutes and check the temperature using an instant read thermometer. 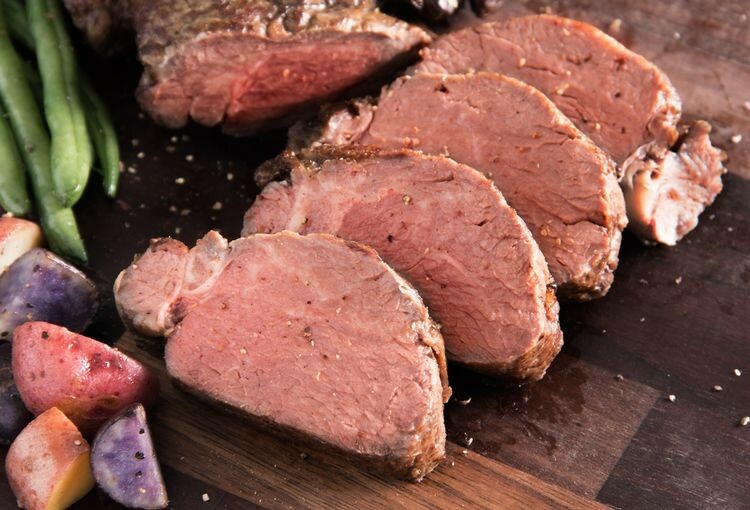 Be sure to insert your thermometer tip into the center of the roast for the most accurate temperature. Continue to cook until desired temperature is reached. Remove when internal temperature reaches 120*F for rare, 130*F for medium rare, and 140*F for medium. The meat will continue to cook for an additional 5-10 degrees which is factored in on the above removal temperatures. Let rest 10 minutes before carving.